Just kidding! 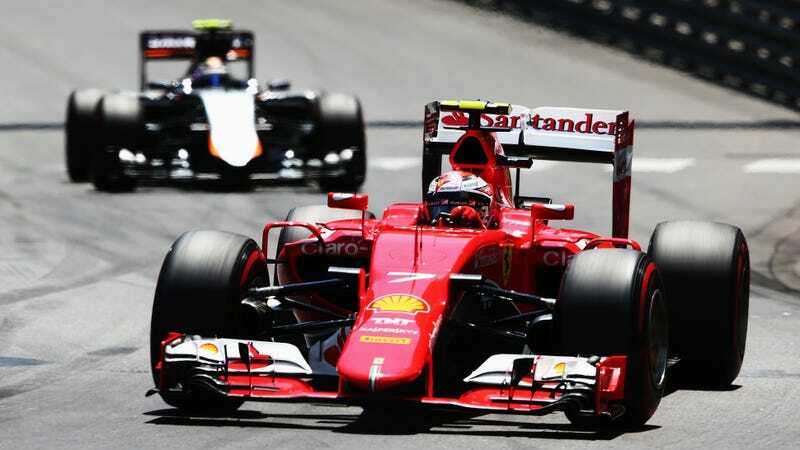 Ferrari’s Kimi Räikkönen asked where the blue flags were as he picked his way through backmarkers in his best Kimi-ese, earning him a nice bleep from the television censors. Never change, Kimi. Never change. Shortly after this, Max Verstappen’s Toro Rosso car terrifyingly punched into a wall, ensuring that there wouldn’t be any more blue flags for a while, anyway. The yellow flags came out and everyone got bunched up behind a safety car until the last few laps of the race. Räikkönen ultimately finished sixth.